We still have more than 2,000 days to go until the 2020 Tokyo Olympics begin, but it is never too early to speculate on a some of the mystery that will surround the Opening Ceremony. After the participating nations march into the new Olympic Stadium, who will Japan choose to carry in the Olympic flag? So who will be the elite eight that Japan chooses? We will assume that they will be past summer Olympians. The real drama will come when the decision on who gets to light the Olympic flame is revealed. This is usually kept as a state secret almost until the moment arrives. It was 1960 Olympic decathlon gold medalist Rafer Johnson in 1984 and Muhammad Ali very famously in 1996. There will no doubt be a torch relay in 2020 that covers the entire Japanese archipelago and includes Hokkaido, Shikoku, Kyushu, Okinawa and Nagasaki. But after the torch has wound its way around the country, who will get the supreme honor of running up the steps and igniting the flame? The flame at the 1964 Tokyo Games was lit by Yoshinori Sakai — who was born the day of the atomic bombing in Hiroshima on Aug. 6, 1945. His selection as the torch lighter remains one of the greatest moves of all time. The symbolism and genius in it were incredible. Sakai was only 19 then, so he will be just a couple of weeks shy of 75 when July 24, 2020, rolls around. I’m betting he is one of the final people to carry the torch this time as well. It would represent a fitting bridge in time from 1945 to 1964 to 2020 and how Japan has evolved. 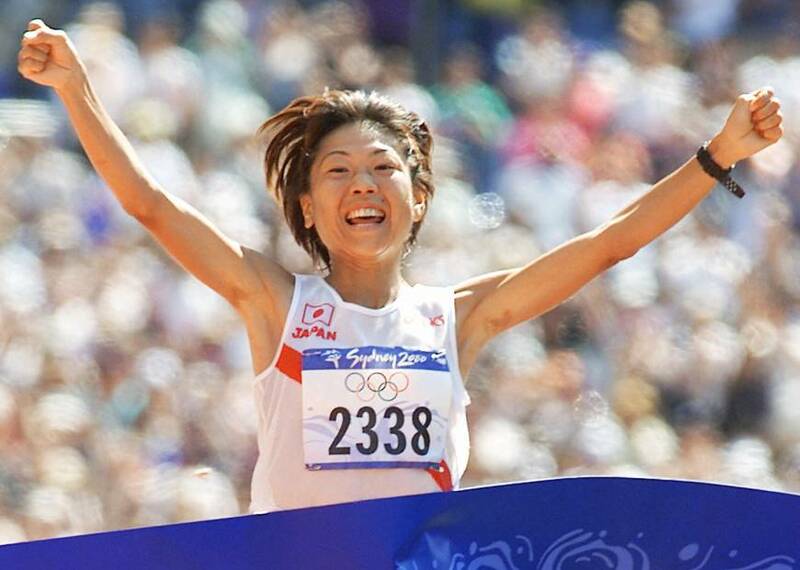 So I’m thinking that Sakai-san brings the torch into the stadium, then hands it off to Mizuki Noguchi, the 2004 gold medalist in the women’s marathon. Noguchi circles the track as the assembled nations and the world watch, then gives it off to Naoko Takahashi for the final meters on the track and up the steps. Why does Takahashi get the ultimate prize? Her victory in the women’s marathon at the 2000 Sydney Games in Olympic-record time can’t be understated. It was absolutely monumental. Anybody who was in Japan at that time can attest to the sense of pride that ran through the country that day. It was electric and resonated for weeks afterward. NHK replayed the entire race three times the same day. 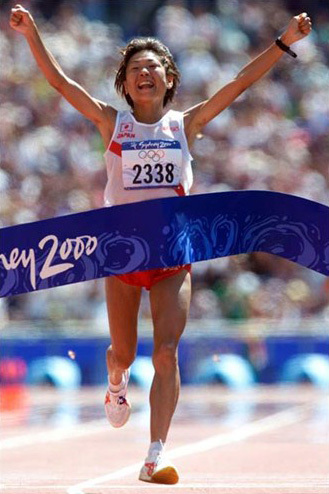 Takahashi became the first Japanese to win the Olympic marathon, and though she was controversially passed over for the Japan team in 2004, is most deserving of the high honor of lighting the torch. She has been a great ambassador for the sport since retiring and would be a wonderful choice for this once-in-a-lifetime moment. Is there a more worthy candidate than Takahashi?